In the past fiscal year, the USDA Forest Service responded to natural disasters and battled through one of the most destructive fire seasons on record. Throughout these challenges, the Forest Service also actively treated forests to improve conditions, increase timber production, and enhance rural prosperity—all while putting customer service first. In the past year, the Forest Service treated more than 3.5 million acres reducing hazardous fuels and improving forest health through prescribed fire and timber sales; the latter totaling 3.2 billion board feet. The Forest Service treated an additional 2.5 million acres improving watershed conditions, ecosystems, and infrastructure, as well as providing clean water for millions of Americans. The agency increased use of 2014 Farm Bill authorities, including 166 Good Neighbor agreements and stewardship contracts. Together, these efforts strengthened collaborative work with states and partners, improved forest conditions, protected communities, and supported as many as 370,000 jobs. The Forest Service prioritized working with customers, partners, and communities to achieve shared goals. In August, Secretary Perdue publicly unveiled the USDA Forest Service report on Shared Stewardship—a new approach to active forest management. This approach will help reshape the agency’s work as good neighbors and will build stronger relationships with states, partners, tribes, and communities to improve forest conditions. The Western Governors Association embraced USDA’s commitment and signed a Memorandum of Understanding with Secretary Perdue. The MOU commits the USFS and WGA to a more integrated approach to prioritizing investments where they will have the greatest impact and will work together to set priorities that address risk across broad landscapes. Another component of shared stewardship is developing the next generation of land stewards to manage and protect national forests. Over the past several years, the Forest Service worked on outreach and education for young people through programs such as Every Kid in a Park. This program leveraged nearly $7 million in private and nonprofit contributions to get fourth-graders into the great outdoors this year. Last March, Congress passed historic legislation that significantly reduces the need to transfer funds from much needed management work to pay for firefighting costs, which exceeded $2 billion this year. This new law expanded authorities that the Forest Service can use to improve forest conditions and reduce wildfire risk. When the new funding fix takes effect in Fiscal Year 2020, the Forest Service budget will become more stable, freeing up funds to help accomplish critical on-the-ground work to increase forest health and resilience, as well as protect lives, communities and resources. The Forest Service took definitive steps to improve customer experience by modernizing our systems and employing new technology. The special use permit process was expedited, reducing the permit backlog by half. The Forest Service removed unnecessary barriers to minerals development and energy production, helping to promote energy independence, create jobs, and support rural economies. Access was also expanded through investments in infrastructure, facilities, and rural broadband. As well, the agency made improvements to recreation opportunities, including protecting and improving access for hunting, fishing, hiking, motorized recreation, and more. The Forest Service developed fee offset projects to promote campground concessionaire facility improvements and worked with six other agencies to develop a one-stop reservation and trip-planning website to be launched in 2019. The Forest Service moved to permanently transform its work environment to ensure everyone is respected and included by implementing a new Code of Conduct that includes zero-tolerance for harassment, retaliation, and misconduct. Agency leadership also created a new performance requirement on work environment that has raised accountability for all supervisors, and established a new anti-harassment call center. For more information about the U.S. Forest Service visit http://www.fs.fed.us/. North Carolina’s New Year tradition of family adventure, exercise and reconnection with nature continues in 2019 with First Day Hikes throughout the state parks system on Jan. 1. More than 40 guided hikes are scheduled for New Year’s Day, ranging from short “leg-stretchers” to multi-mile rambles, most featuring educational programs led by rangers along the way. All state parks will be open on the holiday. 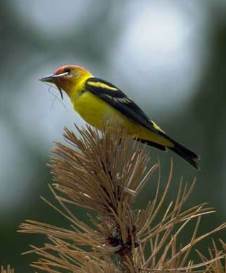 In North Carolina, this popular tradition began at Eno River State Park more than 40 years ago. Eno River’s first day hike alone draws more than 800 visitors. Who Conceived The Concept of "National Parks"? Though it's a well-known fact that Yellowstone was set aside as the world's first national park in 1872, who conceived the idea that tracts of land should be set aside for the general public? Yellowstone's establishment as a national park can be traced back to President Abraham Lincoln when he signed a bill granting the Yosemite Valley and the “Mariposa Big Tree Grove” to the state of California, “upon the express conditions that the premises shall be held for public use, resort, and recreation” in perpetuity. 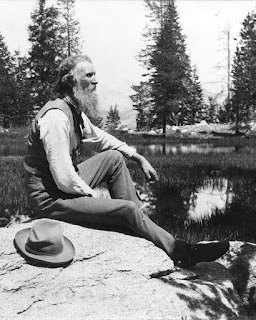 Although this legislation was a precursor to the concept of national parks, the Yosemite Grant Act of 1864 wasn't a new idea. 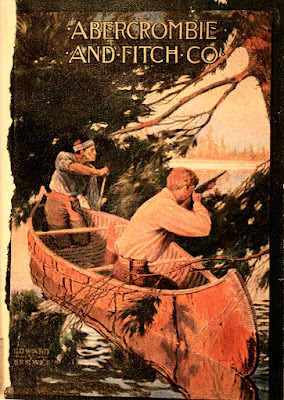 Henry David Thoreau made calls for the preservation of wilderness at least a decade earlier. In his essay, Walking, he made a plea for preserving the West before it would inevitably be exploited and despoiled by human migration, asserting that “The West of which I speak is but another name for the Wild; and what I have been preparing to say is, that in Wildness is the preservation of the world.” In The Maine Woods he called for the establishment of national preserves, asking, “Why should not we…..have our national preserves…..not for idle sport or food, but for inspiration and our own true re-creation?" 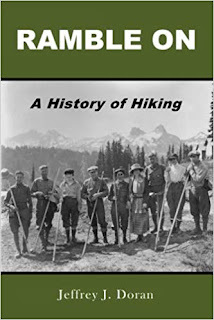 Appalachian Mountain Club Reviews "Ramble On: A History of Hiking"
Earlier this week the Appalachian Mountain Club published a review of my new book, Ramble On: A History of Hiking. I want to sincerely thank Priscilla Estes for publishing a glowing and gracious review of the book in the latest edition of Appalachian Footnotes, the quarterly magazine of the Delaware Valley Chapter of the Appalachian Mountain Club. 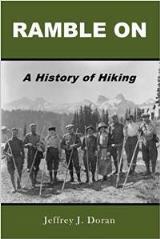 Ms. Estes concluded her fairly extensive review by stating: "Doran’s book is a treasure: a well-written, entertaining, knowledgeable, and exactingly researched book on the roots of hiking and hiking clubs, the history of trail-making, the evolution of hiking gear and clothing, and the future of hiking on overcrowded trails. Doran weaves the social, cultural, industrial, and political milieu into this fascinating history. Amusing, astonishing, and sometimes alarming anecdotes, along with photos, footnotes, and an extensive bibliography, make this a fascinating and significant account of the history of hiking." To read the entire review (on page 6), please click here. 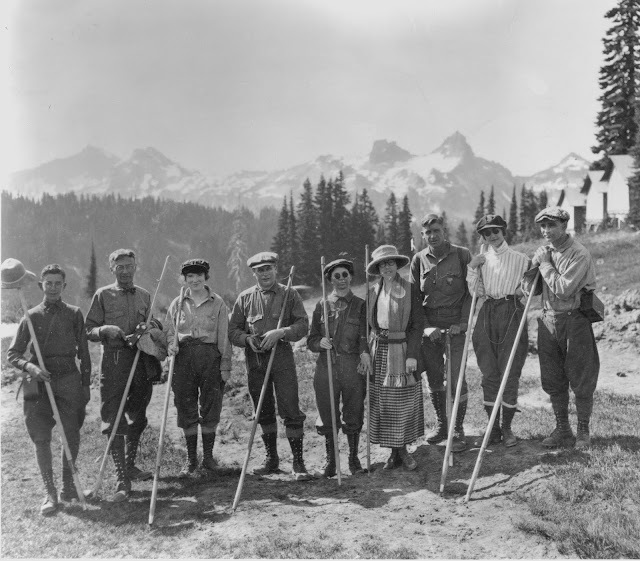 Who Established The World's First Hiking Club? Tennessee State Parks will once again sponsor free, guided hikes to kick-off the New Year. 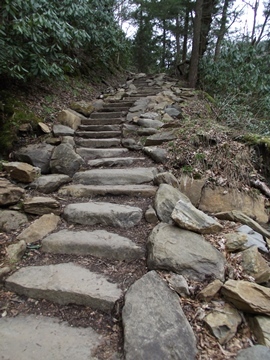 Each state park will host its own special hike during the first few days of the New Year. The First Hikes begin on December 31st, New Year's Eve, at Harrison Bay, Pickett State Park and Paris Landing State Park, which will host midnight hikes. The First Hikes will continue throughout New Year’s Day with morning, afternoon and evening hikes. From Reelfoot to Henry Horton to Roan Mountain and every state park in between, the 2019 First Hikes are designed for all ages and abilities. Some hikes will be approximately one mile in length and tailored for novice hikers, while others are lengthier and geared toward more experienced hikers. For a more in-depth look into planned First Hikes in your area, please click here. The Tennessee State Parks’ First Hikes of 2019 are part of America’s State Parks First Day Hikes initiative in all 50 states. A federal grand jury has issued a superseding indictment charging Derek Shawn Pendergraft, age 21, with First Degree Murder and Aggravated Sexual Abuse resulting in the death of a coworker within Blue Ridge Parkway. Pendergraft was previously charged with Second Degree Murder after an incident this past summer. According to allegations contained in the superseding indictment and other court documents, on the evening of July 24, 2018, Pendergraft, who worked at the Pisgah Inn on the Blue Ridge Parkway, reported that his co-worker, Sara Ellis, was missing. Court documents allege that when initially interviewed by investigators, Pendergraft stated that he and Ellis got off work shortly after 4:00 pm, and decided to go for a hike on an unnamed trail near the employee housing area of the Pisgah Inn. Pendergraft stated that shortly after starting their hike it began to rain, and the victim decided to return to the housing area while Pendergraft continued to hike. Court documents allege that Pendergraft stated that on his way back, upon reaching the point where he last saw the victim, Pendergraft saw the victim’s umbrella and hat lying on the ground. Pendergraft informed the management staff at the Pisgah Inn that the victim was missing. Rangers and first responders searched the area and located the victim’s body lying off an embankment, near a trail, within Blue Ridge Parkway boundaries. Court documents state that on the evening of July 25, 2018, the manager of the Pisgah Inn contacted law enforcement and advised that Pendergraft was in her office and had made statements regarding the death of Sara Ellis. Law enforcement arrived at the Pisgah Inn, interviewed Pendergraft, and arrested him shortly thereafter in connection with the victim's murder. Pendergraft is currently in federal custody. His court hearing on the new charges is set for Friday, December 7, 2018. An indictment is merely an allegation and the defendant is presumed innocent unless and until proven guilty beyond reasonable doubt in a court of law. The case is being prosecuted by the US Attorney’s Office for the Western District of North Carolina. In making today’s announcement, the US Attorney thanked the National Park Service, the FBI, the SBI, the Transylvania County Sheriff's Office, the Haywood County Sheriff’s Office, and the Cruso Fire Department for their respective work and assistance in this case. A federal grand jury has indicted Derek Shawn Pendergraft, age 20, with second degree murder. Special Agents with the National Park Service Investigative Services Branch (ISB) are working with the Federal Bureau of Investigation (FBI) Charlotte Division, the North Carolina State Bureau of Investigation, Transylvania County Sheriff’s Office, Haywood County Sheriff’s Office, and US Park Rangers of Blue Ridge Parkway on the investigation. According to allegations contained in the indictment and criminal complaint filed in federal court, on the evening of July 24, 2018, Pendergraft reported that a co-worker was missing. Both Pendergraft and the person he reported missing were employees of the Pisgah Inn, a concessionaire within the park. The complaint alleges that, when initially interviewed by investigators, Pendergraft stated that he and the other employee both got off work shortly after 4:00 pm and decided to go for a hike on an unnamed trail near the employee housing area of the Pisgah Inn. Shortly after starting their hike it began to rain and the other employee decided to return to the housing area while Pendergraft hiked on. On his way back, upon reaching the point where the two separated, Pendergraft saw the other employee’s umbrella and hat lying on the ground. Pendergraft told investigators that he immediately began to search for the other employee and informed the management staff at the Pisgah Inn that she was missing. US Park Rangers and first responders searched the area and located the missing employee’s body lying off an embankment near a park trail. Investigators interviewed Pendergraft and took him into custody in connection with the murder. The criminal bill of indictment was returned on August 9 by a federal grand jury sitting in Asheville, NC. The charge of second degree murder carries a maximum penalty of life in prison. An indictment is an allegation and the defendant is presumed innocent unless and until proven guilty. The case is being prosecuted by the US Attorney’s Office for the Western District of North Carolina. Who Made The First Hike in Recorded History? 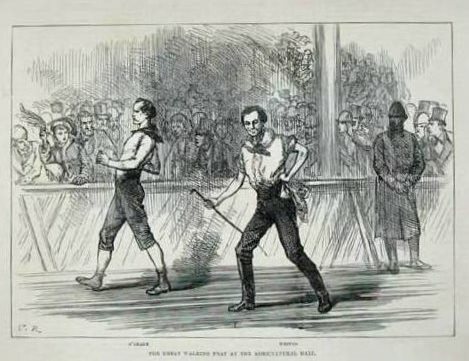 Undoubtedly there are scores of unknown people throughout the ages that have walked for pleasure or sport. 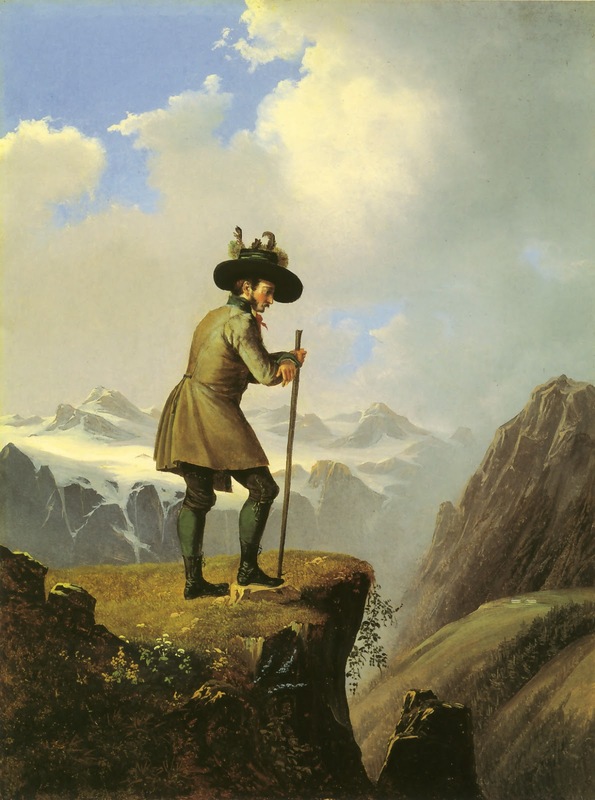 Although the record is sparse, there are a few examples of individuals who took to the woods and mountains prior to the modern era. In all likelihood, the oldest recorded hike for pleasure was taken during the second century when the Roman Emperor, Hadrian, ascended Mount Etna on the island of Sicily for the simple pleasure of seeing the sunrise from its summit. Hadrian ruled the Roman Empire from 117 to 138 CE, and was considered to be one of the “Five Good Emperors.” During his reign Hadrian travelled to nearly every corner of his sprawling empire. During a return trip from Greece in 125 Hadrian made an apparent impromptu detour to Sicily to make his ascent of the 10,922-foot mountain, which is still among the most active volcanoes in the world. What Was The Firefall Tradition in Yosemite? Cold high pressure along the East Coast will interact with a moist low pressure system moving out of the Gulf of Mexico Saturday night into Sunday. Moderate to heavy precipitation will fall as a mixture of snow, sleet, and freezing rain across the region. Accumulations are expected to be greatest in western North Carolina. Temperatures will be cold enough across northeast Tennessee and southwest Virginia for precipitation to begin as a mixture of rain, snow, and sleet in lower elevations, with mainly snow in the mountains. The best lift and moisture will arrive on Saturday night and continue through Sunday, with significant snow accumulations possible. * WHERE...The mountains and foothills of western North Carolina, along and west of the Blue Ridge Escarpment. The highest snow and sleet accumulations are expected to be at high elevations along the Escarpment. The mountains of far northwest South Carolina, and far northeast Georgia. * WHAT...Heavy mixed precipitation expected. Most of the precipitation will be snow. Total snow accumulations of 2 to 17 inches are expected, with accumulations increasing from south to north and as elevation increases. Ice accumulations of around a tenth of an inch are also expected. * WHERE...Southwest Virginia and the mountains of East Tennessee and southwest North Carolina. * WHAT...Heavy mixed precipitation expected. Total snow accumulations of up to 14 inches and ice accumulations of around one quarter of an inch expected. * WHEN...From noon Saturday to noon EST Monday. * ADDITIONAL DETAILS...Travel could become very difficult or even impossible. Road conditions could deteriorate as early as Saturday evening, with highway travel continuing to be impacted through early next week. Widespread, prolonged power outages are possible. Tree damage is likely due to the ice. Travel could be nearly impossible. The hazardous conditions could impact the morning commute. For the latest updates and forecasts, please click here. Great Smoky Mountains National Park officials announced temporary, single-lane closures along the Spur and a four-mile section of Newfound Gap Road from Sugarlands Visitor Center to the Chimney Tops Trailhead beginning Monday, December 11 through Friday, March 15 for tree removal work through the fire-affected areas. The roadways will remain open, but motorists should expect single-lane closures during daylight hours from 7:00 a.m. to 6:00 p.m. No work will be allowed on weekends from 12:00 noon on Fridays through Sunday evenings, federal holidays, or between December 21, 2018 and January 6, 2019. For more information about temporary road closures on all park roads, please visit the park website at https://www.nps.gov/grsm/planyourvisit/temproadclose.htm. For information about temporary road closures on main park roads, follow SmokiesRoadsNPS on twitter or receive text messages directly by texting ‘FollowSmokiesRoadsNPS’ to 40404. Great Smoky Mountains National Park will host a Holiday Homecoming at the Oconaluftee Visitor Center on Saturday, December 15, 2018. Park staff and volunteers will provide hands-on traditional crafts and activities from 10:00 a.m. to 12:00 p.m. Children and adults will have the opportunity to learn about and experience some of the traditions surrounding an Appalachian Christmas. The visitor center will be decorated for the holiday season including an exhibit on Christmas in the mountains. Hot apple cider and cookies will be served on the porch with a fire in the fireplace. In addition, the park will host the monthly acoustic old-time jam session from 1:00 p.m. to 3:00 p.m. The Oconaluftee Visitor Center is located on Newfound Gap Road, two miles north of Cherokee, NC. For more information call the visitor center at 828-497-1904. All activities are free and open to the public. Generous support of this event is provided by the Great Smoky Mountains Association. 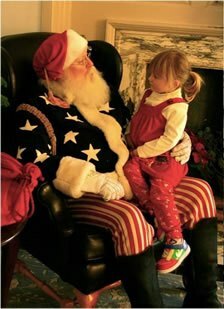 Great Smoky Mountains National Park will host the annual Festival of Christmas Past celebration on Saturday, December 8, from 9:30 a.m. to 3:00 p.m. at Sugarlands Visitor Center. The event, sponsored in cooperation with Great Smoky Mountains Association, is free to the public. The festival will include mountain music, traditional shape note singing, mountain craft demonstrations, and a living history walk. Visitors can experience these traditions through hands-on activities including make-and-take craft stations. Hot apple cider will also be served throughout the day. The popular Christmas Memories Walk will be held at 11:30 a.m. Costumed interpreters will lead a short walk from the visitor center and talk about life in the mountains during the holidays. Through this living history program, visitors will experience the spirit of the season in the mountains during the early days. Sugarlands Visitor Center is located on Newfound Gap Road, two miles south of Gatlinburg, TN. For more information, call the visitor center at 865-436-1291. 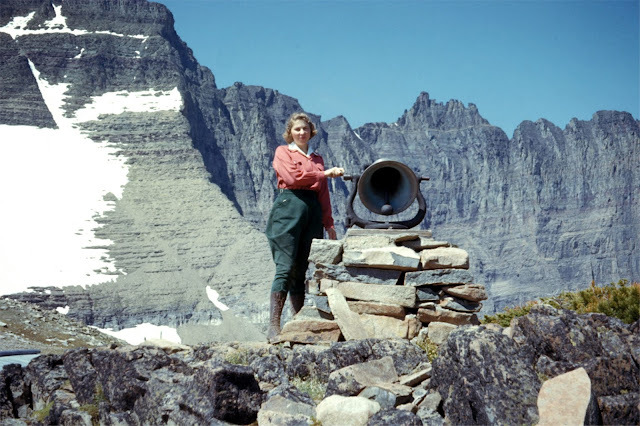 Why Were Locomotive Bells Placed Atop Mountain Passes in Glacier National Park? With more than 800 miles of maintained trails, the Great Smoky Mountains National Park is a Hiker’s Utopia. There are trails for every level of skill, from an afternoon walk to a serious camping experience in the backcountry. Hikers with different skills and abilities will easily find an ideal route to explore. Hiking is certainly not the only activity you can take part in, as the park also offers camping, cycling, fishing and horseback riding as well. And if you don't feel like hiking to the ridge of a mountain or trying to catch a big one, you can simply sit down and take-in the beautiful mountain sunsets that the park has to offer. Some of the most popular hiking destinations in the Smokies are the beautiful waterfalls, which can be found along many streams and rivers, with a refreshing cool breeze and rewarding photo opportunities. More than 2,000 miles of streams meander throughout the Smoky Mountains, and the waterfalls they adorn range from small sparkling falls to large roaring waterfalls. One of the most photogenic is Abrams Falls. Although it's only 20 meters high, the beauty of the large volume of water and the depth of the pool compensate for its low height. Another waterfall that hikers don't want to miss is Mingo Falls. Mingo Falls is actually just outside the park, in the Cherokee Indian Reservation. At 120 feet, it's one of the highest and most beautiful waterfalls in the Southern Appalachians. The endless panoramic views are another attraction for adventurous hikers. From the rocky cliffs overlooking valleys of colorful flowers, natural arches, century-old trees and views of the seemingly endless mountains, there are so many things to explore and enjoy when travelling in the Great Smoky Mountains. After a hectic and active week, I was looking for an environment where I could find some peace and quiet, and since I'm not only a nature lover but also love hiking, no other place came in mind but the incredible experience I had in the Smokies the first time I visited. With its numerous outdoor activities, like biking, camping, wildlife watching, tubing and white water rafting, and most especially its majestic mountains for hiking, I couldn’t resist the temptation of another mind blowing experience. And not only were these factors the main driving force behind my reason for choosing the Great Smoky Mountains over others, but I was also impatient to use my newly purchased cooler backpack. This cooler backpack has a variety of features which makes it the ideal bag for hiking or any outdoor activities. The Kyndley cooler backpack is designed for hiking and other outdoor activities and has 2 compartments. This allowed me to carry all I needed for my 2 days of hiking. With its 2 compartments, and it's ample space, I conveniently placed my laptop and camera at ease inside the cooler backpack. Keeping in mind I was going for 2 days, I was looking for a bag with enough space so that I could put everything I needed for my hike. 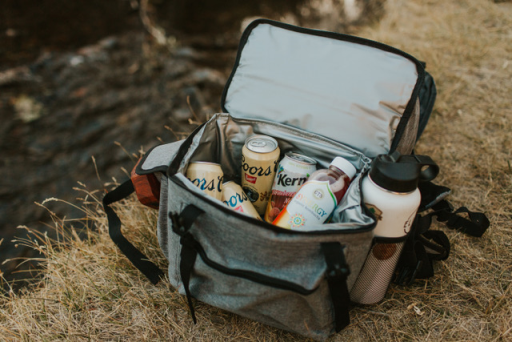 With the cooler backpack, 2 compartments, and its numerous durable side pockets, I took along with me enough food and energy drink, a flashlight, and all of my personal needs to last me even longer. The interior of the backpack is covered with high density insulation material. It surprised me that even after about 16 hours the energy drinks that I had put in the cooler backpack were still very fresh. This went a long way in helping me during my two days in the Smoky Mountains; as such I had no worries for fresh drinks and warm food even for a plus day. 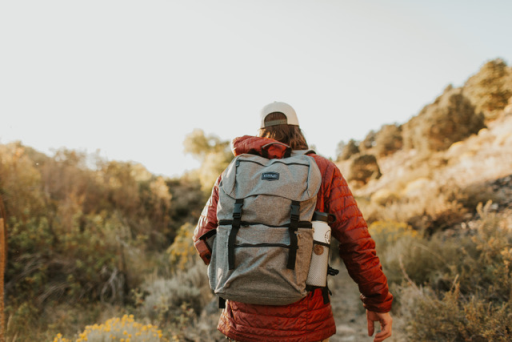 The lightweight cooler backpack is built with a highly-resistant material, and is well-designed to facilitate hiking and make it more enjoyable. Despite all that I had stuffed in my cooler backpack, I was able to carry it throughout my trip, feeling less tired with the load well balanced. The waist and chest straps allowed me to easily adjust the pack to fit properly. Friends of the Smokies announced this morning that you can DOUBLE YOUR DOLLARS TODAY! When you donate through Facebook on #GivingTuesday, your gift is automatically matched! How does it work? Facebook and PayPal have teamed up this #GivingTuesday to match up to $7 million in donations to charities through Facebook starting at 8am today. You don't have to do any extra steps, just donate on our Facebook page today, Tuesday, November 27th. But act fast! That $7 million will be snatched up quickly! Start your own fundraiser! Who Was The First Leader in Outdoor Gear and Apparel? Long before they used scantily-clad teen models in controversial advertising campaigns, Abercrombie and Fitch was the preeminent outdoor goods retailer in America. 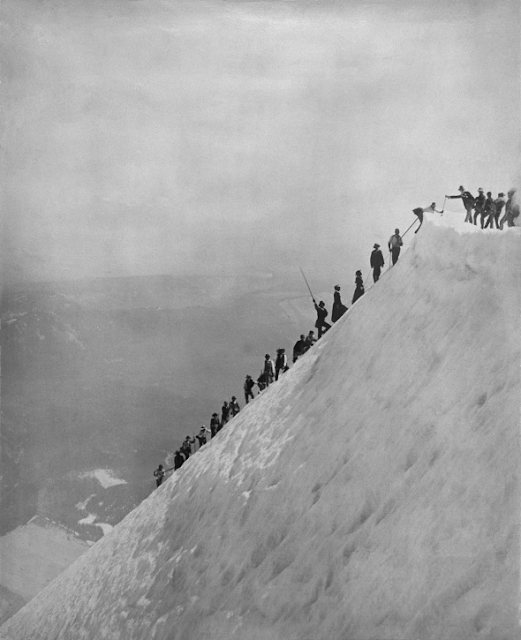 Founded in 1892 in New York City, the merchant retailer began selling high-end outdoor gear and apparel through expansive catalogs in 1903. 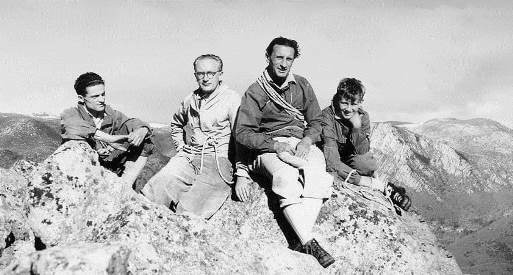 During the early twentieth century the retailer outfitted several famous explorers and adventurers, including Teddy Roosevelt, Robert Peary, Ernest Shackleton, Roald Amundsen, Richard Byrd, Charles Lindbergh and Amelia Earhart. The Wilderness Road Campground in Cumberland Gap National Historical Park will remain open this winter with loops A and B available for camping. Loop A does not have electricity while Loop B provides 20, 30 and 50 amp hook-ups. Water is centrally located at the dumping station near the campground entrance station. “Enhancing recreational opportunities for park visitors is a priority and creating the opportunity to enjoy Cumberland Gap National Historical Park through all of its seasons can be a unique and exciting way to explore the park” shares Acting Superintendent Mark Dowdle. “Our management of the campground this winter will employ an ‘adaptive management’ strategy meaning that the campground may close for a short period of time during severe inclement or very cold weather” Dowdle further explains. Should the campground be closed due to severe weather, updates will be posted to the park's website www.nps.gov/cuga and facebook page. The campground is located on Hwy 58 in Virginia two miles east of the Hwy 25E and 58 intersection. The camping fee for sites without electricity is $14.00 per night. Sites with electricity are $20.00 per night. For additional information, please call the park visitor center at 606-246-1075. Other federal land management agencies offering their own fee-free days in 2019 include the U.S. Fish and Wildlife Service, Bureau of Land Management, Bureau of Reclamation, U.S. Forest Service, and U.S. Army Corps of Engineers. The first study to disentangle the effect of forest trails from the presence of humans shows the number of birds, as well as bird species, is lower when trails are used on a more regular basis. This is also the case when trails have been used for many years, suggesting that forest birds do not get used to this recreational activity. Published in Frontiers in Ecology and Evolution, the finding suggests the physical presence of trails has less of an impact on forest birds than how frequently these recreational paths are used by people. To minimize the impact on these forest creatures, people should avoid roaming from designated pathways. "We show that forest birds are quite distinctly affected by people and that this avoidance behavior did not disappear even after years of use by humans. This suggests not all birds habituate to humans and that a long-lasting effect remains," says Dr Yves Bötsch, lead author of this study, based at the Swiss Ornithological Institute, Sempach, Switzerland and affiliated with Institute of Evolutionary Biology and Environmental Studies, University Zurich, Switzerland. "This is important to show because pressure on natural habitats and nature protection areas is getting stronger and access bans are often ignored." Many outdoor activities rely on infrastructure, with roads and trails being most common. Previous research has shown that trails cause habitat loss and fragmentation, where larger areas of habitat are dissected into smaller pieces thereby separating wildlife populations. However it has been difficult to say for certain whether it is the presence of trails or humans that have the most impact on forest birds. Bötsch explains, "Previous studies provide conflicting results about the effects of trails on birds, with some studies showing negative effects while others do not. We thought differences in the intensity of human use may cause this discrepancy, which motivated us to disentangle the effect of trails from the presence of humans." The researchers visited four forests with a similar habitat, such as the types of trees, but which differed in the levels of recreation. They recorded all birds heard and seen at points near to the trails, as well as within the forest itself, and found that a lower number of birds were recorded in the forests used more frequently by humans. In addition, they noticed certain species were more affected than others. "Species with a high sensitivity, measured by flight initiation distance (the distance at which a bird exposed to an approaching human flies away), showed stronger trail avoidance, even in rarely frequented forests. These sensitive species were raptors, such as the common buzzard and Eurasian sparrowhawk, as well as pigeons and woodpeckers," says Bötsch. 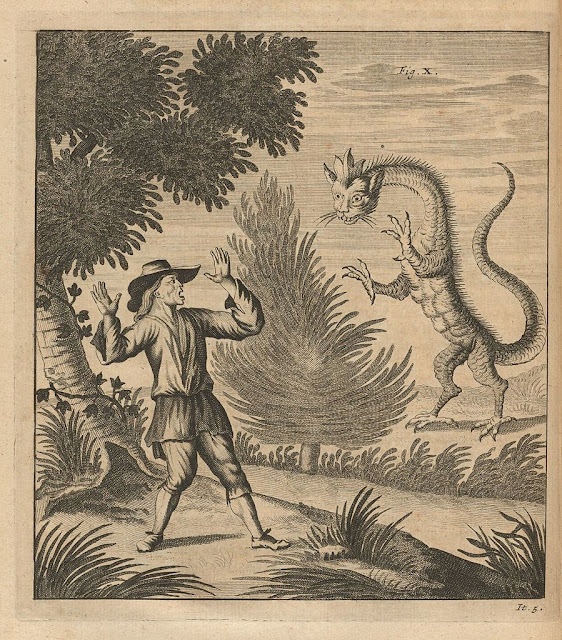 He continues, "Generally it is assumed that hiking in nature does not harm wildlife. But our study shows even in forests that have been used recreationally for decades, birds have not habituated to people enough to outweigh the negative impact of human disturbance." Bötsch concludes with some advice, which may help to minimize the adverse effects on forest birds by people who use forests recreationally. "We believe protected areas with forbidden access are necessary and important, and that new trails into remote forest areas should not be promoted. Visitors to existing forest trails should be encouraged to adhere to a "stay on trail" rule and refrain from roaming from designated pathways." Great Smoky Mountains National Park, in cooperation with the Smoky Mountain Astronomical Society, will offer a stargazing program in Cades Cove on Saturday, November 17, 2018 beginning at 5:30 p.m. Experienced astronomers and numerous telescopes will be on hand to provide a discovery of the fall sky’s position of stars, galaxies, and constellations, including the Milky Way. In case of rain or cloud cover where night skies are not visible, the program will be cancelled. All participants should park at the orientation shelter at the entrance to the Cades Cove Loop Road. A park ranger will walk with the group one-third of a mile to a nearby field to the viewing location. As the Cades Cove Loop Road is closed at sunset to motor vehicles, participants are not allowed to drive to the viewing site or to park within the Loop Road. Those planning to attend should wear comfortable walking shoes, dress warmly, and bring a flashlight. Participants are encouraged to bring a lawn chair or blanket for sitting, along with binoculars which can be used for stargazing. To preserve the integrity of the telescope lenses, smoking is not allowed near them. Carpooling is strongly encouraged as parking is limited. The program is subject to postponement due to rain or cloud cover. If the weather is questionable, call the day of the event to confirm that the program will take place at 865-448-4104 or follow the park’s Facebook page at www.Facebook.com/GreatSmokyMountainsNPS. After being partially closed over the last two years, the Rainbow Falls Trail will officially reopen today. A reopening ceremony will take place today at 10:00 am. 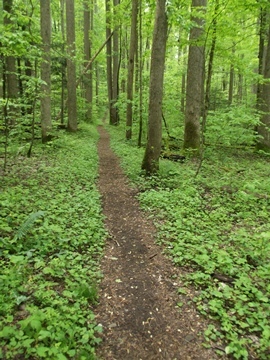 Afterwards, the trail will be open to the public. 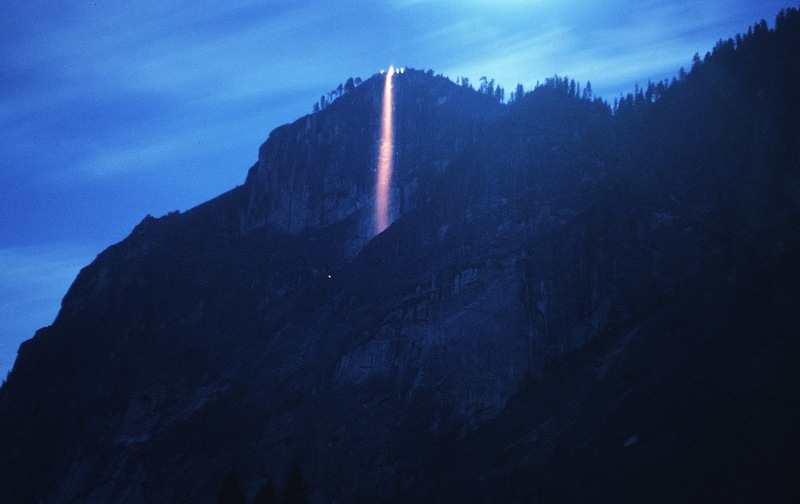 Hikers will be able to take the trail to Rainbow Falls, or all the way up to the summit of Mt. LeConte. The park trail crew rehabilitated targeted segments along the trail to improve visitor safety, stabilize eroding trail sections, and repair trail tread damaged by high winds and fire during the November 2016 wildfires. The crew installed over 350 steps through steep, narrow corridors, created nearly 600 feet of elevated trail surfaces, installed nearly 400 drainage elements, and placed over 1,000 native stones along the trail to create a durable, sustainable trail corridor. The much-needed rehabilitation also eliminated numerous, visitor-created side trails totaling over one mile in length that had resulted in eroded, off-trail paths creating confusion for hikers. Numerous individuals partnered with the park trail crew to aid in rehabilitation efforts. Over the course of the two-year project, 44 American Conservation Experience youth interns contributed over 41,360 hours of service and 162 Volunteers contributed 1,576 hours of service. Trails Forever is a partnership program between Great Smoky Mountains National Park and the Friends of the Smokies. The Friends have donated over $1,500,000 to support the program, in part through the generosity of the Knoxville based Aslan Foundation. The Trails Forever program provides the opportunity for a highly skilled trail crew to focus reconstruction efforts on high use and high priority trails in the park including the recently restored Rainbow Falls Trail, Alum Cave Trail, Chimney Tops Trail, and Forney Ridge Trail. The program also provides a mechanism for volunteers to work alongside the trail crew on these complex trail projects to assist in making lasting improvements to preserve the trails for future generations. In 2019, the Trail Forever crew will begin a 2-year rehabilitation project on the popular Trillium Gap Trail among other critical trail work across the park on trails such as the Deep Creek Trail, Rough Fork Trail, Smokemont Trail, and Noah Bud Ogle Trail. Due to the rehabilitation process on Trillium Gap Trail, a full closure will be necessary for the safety of both the crew and visitors. The Trillium Gap Trail and associated parking areas will be closed May 6, 2019 through November 14, 2019, excluding federal holidays, on Monday mornings at 7:00 a.m. through Thursday evenings at 5:30 p.m. weekly. The trail will be fully open each week on Friday, Saturday, and Sunday. For more information about the Trails Forever program, please visit https://home.nps.gov/grsm/getinvolved/supportyourpark/trails-forever-volunteer.htm. In the midst of multiple weather related closures at the southern end of the Blue Ridge Parkway, National Park Service officials announce that Tanbark Tunnel at Milepost 374.4 is closed to all uses until further notice due to a piece of the tunnel’s natural rock ceiling coming loose. The National Park Service and Federal Highway Administration are in the process of assessing the issue and will determine what repairs are needed. To effectively route Parkway visitors away from the tunnel, the closure will extend from Milepost 355.3 at N.C. Route 128 to Milepost 375.6 at Ox Creek Road. The detached rock fragment, discovered during this weekend’s weather related closure, is approximately four feet by three feet and up to 12 inches thick. The rock has not fallen to the road and is currently being held by a steel netting and rock bolt safety system installed on the tunnel ceiling for this very reason, to catch any falling rock. However, due to the significant weight of the rock, and the stress it is currently putting on the safety system, repairs must be made prior to re-opening to visitors. Weather permitting, Mt. Mitchell State Park will remain open and accessible while tunnel repairs are underway. Specific information regarding daily closures, related to Tanbark Tunnel, weather, or for any other reason, is available on the Parkway’s Real Time Road Map, found at www.nps.gov/maps/blri/road-closures/ .